Step through time and discover a mesmerizing new action-RPG that looks like it was plucked straight out of the 16-bit era, but plays like a modern-day marvel! Inspired by non-linear Japanese retro adventures such as Wonder Boy In Monster World, Aggelos hurls players into the middle of a colossal struggle for survival as beings from another dimension threaten to invade the peaceful Kingdom of Lumen. 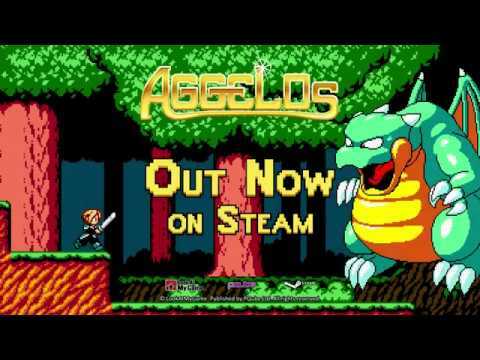 Bursting with secrets and side-quests, and boasting slick melee combat that any 2D action game would envy, Aggelos is the perfect combination of retro style and modern-day game design. Venture through forests, seas, cave systems and ancient temples as you seek to uncover the magical elements needed to save the world from total annihilation. Explore a sprawling world that gradually reveals itself, Metroidvania-style, as you gain new abilities and equipment. Thwart towering bosses and their tricky minions as you take on perilous mainline quests and optional odd-jobs for the people of Lumen. Unlock magical abilities and high-level attacks, expertly chaining these immense powers together to clear screens of enemies in seconds. Forget out-of-place modern art: Aggelos boasts superlative character designs and animations while remaining proudly, and faithfully, 16-bit through and through. Lose yourself to a retro-inspired soundtrack that floods the Kingdom of Lumen with life. Aggelos is a game for the fans of the retro. If you are 90s child, grab it immediately. You won't regret it. Aggelos works great as both a homage to the source material and as a game on its own merit. 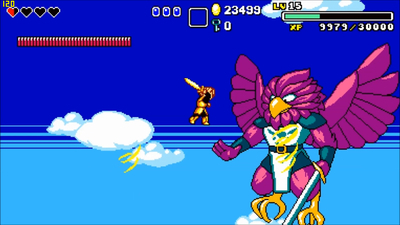 The faithful reproduction of the Wonder Boy style still holds up today, and while the new powers don't significantly change things for the better, they don't detract from the game, either. 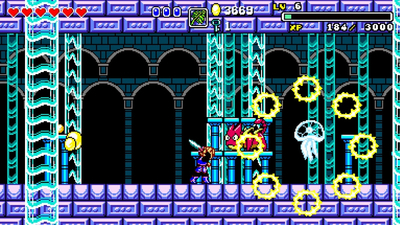 The gameplay is solid, and the gameplay length comes in at a good running time, so you'll get your money's worth from the experience even before you set out to play it again on Hard mode. With a great presentation backing up the entire experience, Aggelos is a great title for classic adventure platformer fans. All in all? This game is nothing too impressive. You’re better off playing actual classic titles because at least those have way more to offer than this game. Not saying that this game is totally bad, but it could have been so much more.